Take advantage of these current offers! 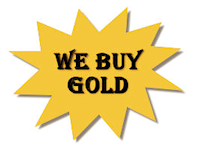 Jewelry Doctor is dedicated to giving you the best deal on all your jewelry and gift needs. These are just a few of our promotions and sales that are currently available to our customers. 50% Off 1 Item on Your Birthday! Watches, bullion, coins, and numismatic items are not eligible for the birthday promotion.